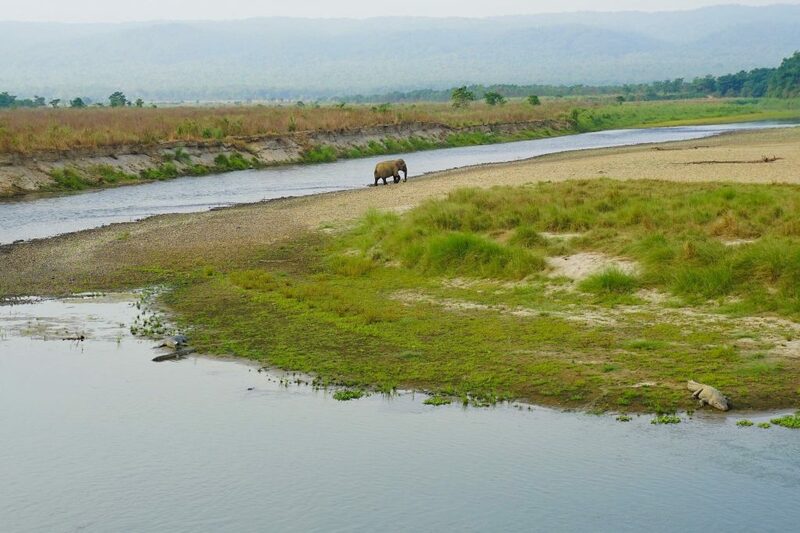 Nestled at the foothills of Nepal, the Royal Chitwan National Park is recognized as one of the worlds’ biodiversity hotspots and falls amongst WWF’s 200 Global Eco-regions. And it’s also a UNESCO World Heritage site so bonus! 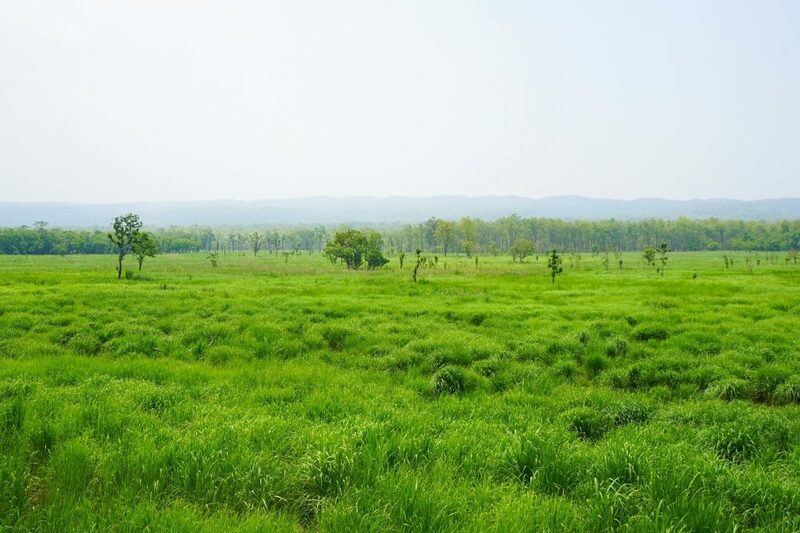 The spectacular landscape, covered with lush vegetation and the Himalayas as the backdrop really is an exceptional natural beauty….and what better way to explore it than with a Chitwan Jungle Safari! An incredibly diverse natural ecosystem of subtropical lowland, wedged between two river valleys produces a mosaic of riverine forest, grasslands, forested hills, and alluvial floodplains. 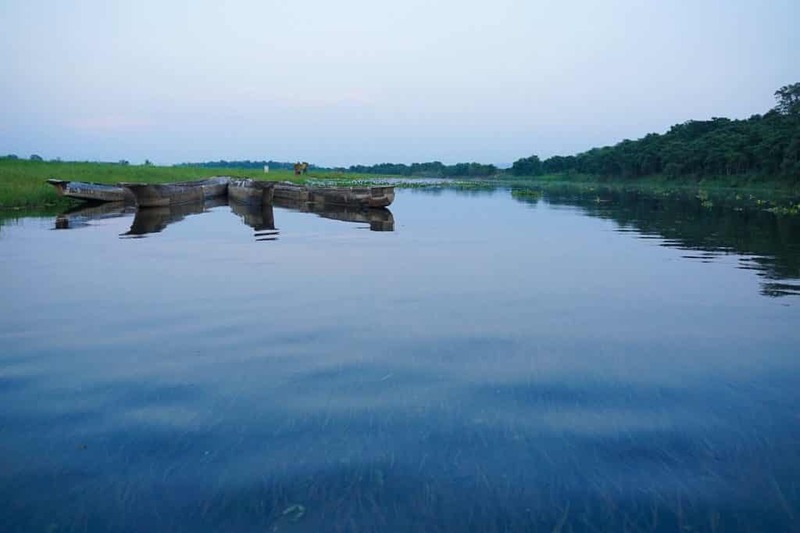 One of the parks main rivers that flow through is the Narayani river, the third-largest river in Nepal which originates in the high Himalayas and is a tributary of the Ganges, the most sacred river in India. So much green, so much wide open space…I think I’m in love! 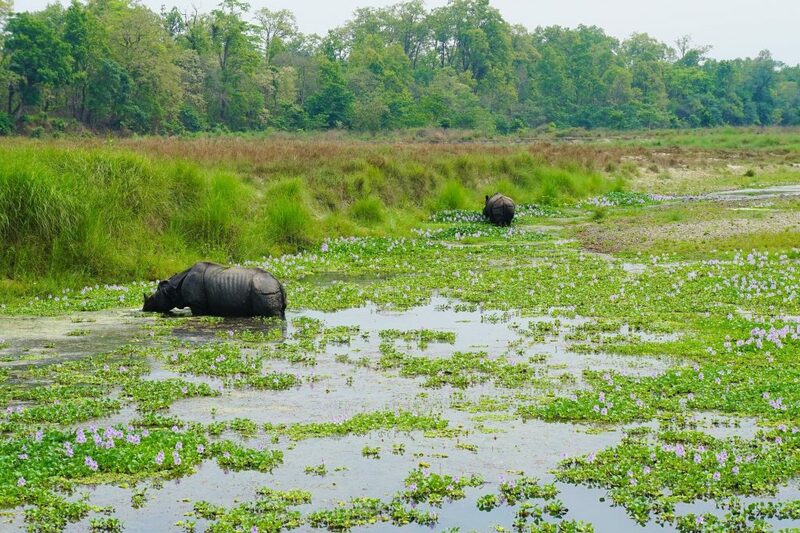 Chitwan is also famed for its rich flora and fauna and 800 animals are found in Chitwan National Park including 68 species of mammals and over 500 species of birds (one of the highest concentrations in the world). 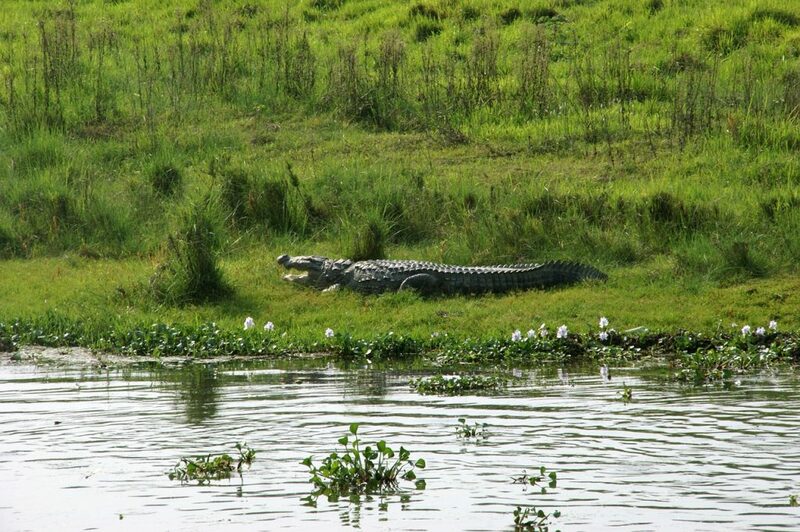 Keep your eye’s keenly peeled for anything that moves on a Chitwan Jungle Safari because you never know what you will find! 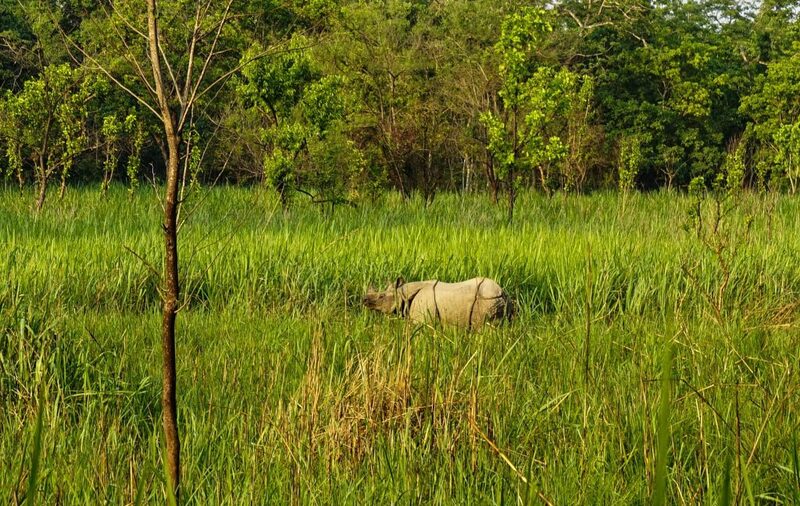 The park is home to one of the last populations of single-horned Asiatic Rhinoceros and is also one of the last refuges of the Bengal Tiger. It also gives shelter to many other endangered species including sloth bears, clouded leopards, otters, hyenas, mongoose, civets, pangolins, monkeys, gaurs, crocodiles, and wild elephants. Not too shabby I guess…Ok, who am I kidding! If there were no crocodiles in here I’d swim all day, every day! Though thankfully, we meet some girls who were volunteering in Nepal around Chitwan who warned us off this ide…. Isla De La Plata Ecuador: Alternative to the Galapagos? 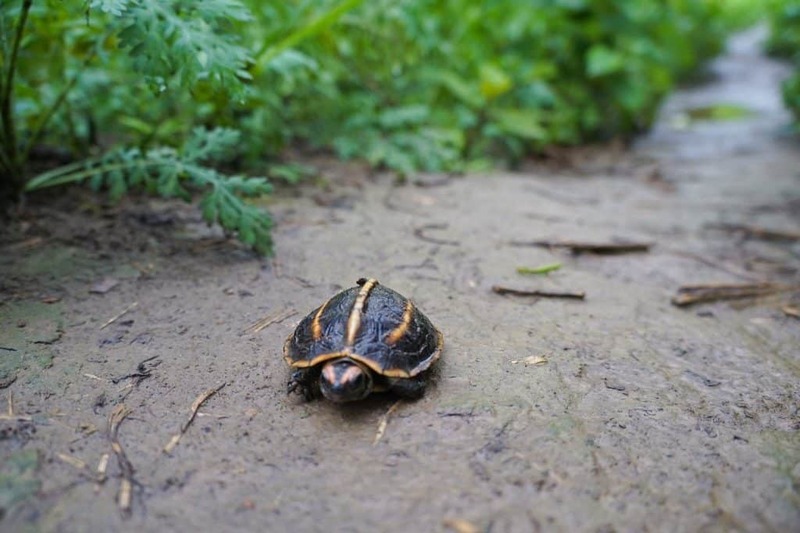 Should you volunteer with Wildlife in Costa Rica (and what to expect)? I mean.. Does it get any better than this? Just like a painting, but I swear this isn’t staged! Trekking over jeep safari does have its perks! 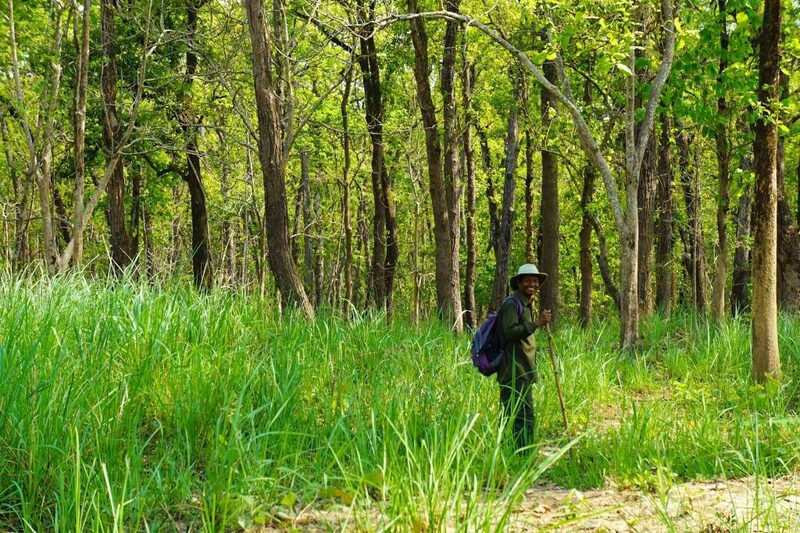 I highly, highly recommend contacting a local guide to Chitwan, Bali, [+9845150440] for a passionate and safe Chitwan Jungle Safari in the Royal Chitwan National Park. Seriously this guy is the man, highly respected in the community and is doing it for donkey’s years. He still loves doing his job every day, and even goes out on his days off, which really says something about his passion! And look at that smile! He was the nicest guy we meet in Nepal..where there is a lot of competition! 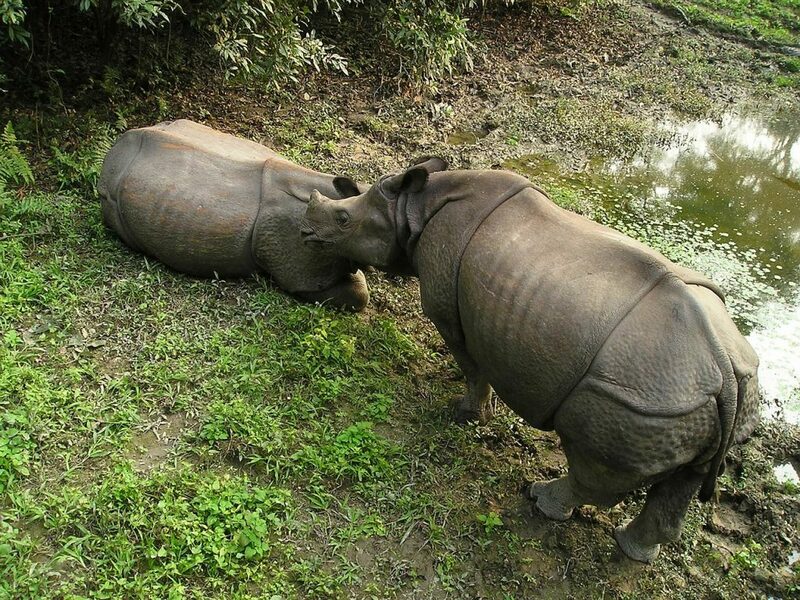 I would place Chitwan National Park and it’s Chitwan Jungle Safari alongside the Amazon, Borneo, the Lutz Desert, and Galapagos as the greatest natural landscapes I have witnessed and highly recommend it to anyone in the area with even a passing interest in wildlife and geographic processes!